Prospecting for probate listings requires a gentle touch. The family members or friends you need to contact are grieving, and they won’t respond if they feel like you’re a vulture, sweeping down to take advantage of their sorrow. However – they do need you. If they don’t know it yet, they will after they’ve met with a probate attorney. Probate is one of those legal facts of life for most people, so they’ll need to know the value of their loved one’s home and other real estate holdings. Hopefully, they’ll talk with an attorney who knows that a web form evaluation isn’t worth its space on a computer screen. You can reach these heirs or executors either by writing to them directly or through a referral from their probate attorneys. The 6 postcards for attorneys are meant to show that you’ll take good care of their clients and won’t try to push them into listing when they aren’t ready. They also mention the additional service you can provide by helping their clients connect with other reliable professionals. For instance, those who will conduct estate sales, clean the house, perform needed repairs, etc. One of the cards offers to become their “back-up” agent when their regular agent isn’t available. Another offers to give a second opinion when needed. Each is written to help you get that proverbial “foot in the door” so that you can prove your worth to them and their clients. The two “house-specific” letters mention your neighborhood expertise, along with your offer of assistance. The five letters to individuals outline how you can make this stressful time a little easier on them. These letters offer your market analysis free of charge – and with no obligation. They focus on the service you’ll provide regardless of whether they plan to list the property. Then they go into your offer to put them in touch with those other necessary service providers. One letter is specifically written for executors or heirs who live out of the area – offering your assistance in doing what they can’t do long-distance. This letter does mention listing but in the context of an offer to oversee the other activities if the house is listed with you. Years ago, when I was an agent, two sisters came to see me and asked me to list their father’s home. And they told me a story. They said that another agent – a woman they’d known for most of their lives – had come to the funeral and asked for the listing. These women were so shocked and so angry with her that I don’t think they’d have let her list that property if she’d been the only agent in the County. After that I was very careful to limit my contact with the recently bereaved to a sympathy card (if I knew them) and an offer of assistance to be given when they needed me. This is a time to be there when they need you – without pushing. Prospecting for probate listings will be easier when you can include testimonials from satisfied clients and/or probate attorneys. 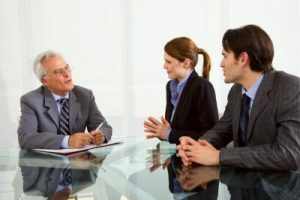 So if you are already working with an attorney or two, ask them for a testimonial. Then do the same with individuals you’ve helped. Try to encourage them to focus on your caring and compassion along with your expertise. You can send the testimonials as a separate message or as an extra sheet in your letters to individuals. Consider using an attorney testimonial for one side of the attorney postcards. Are you ready to begin prospecting for probate listings? Are you ready to begin prospecting for probate listings? Then click the order link below. Almost immediately you’ll have the copy for 6 attorney postcards, 2 attorney letters, and 5 letters to individuals. In addition, I’ve included one document with all 6 postcards – just for easy reference.